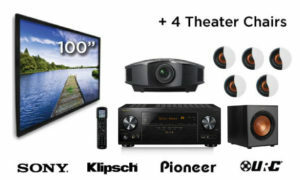 Starpower is the leading expert in home theater design, installation and electronic systems. Why? Because, we understand that not everyone has the same need or desire. 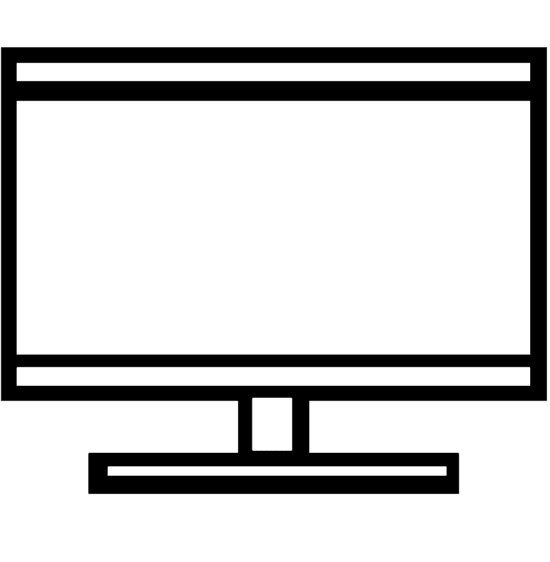 Whether you have your eye on the latest flat-panel or you need your entire game room completely transformed into a state-of-the-art media room, we’ll take your visions and create the perfect plan to reach those goals. Our all-encompassing and fully integrated electronic products will change your TV and movie watching and music listening experiences. 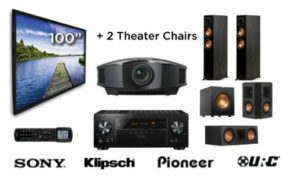 home theater receiver, audio speakers and seating. Whether your style is contemporary or modern, traditional or rustic, if you need one TV or a full video wall, our rooms tell a story and create a mood. When we are done, you will have an audio and visual experience like no other fully equipped with the top of the line audio, video, and home electronics technology, integrated with custom-designed cabinetry, lighting mood controls and quality seating-if you so choose. We’ll demonstrate and explain every small detail and how every tiny button works. Shop our most popular packages below. Starpower’s home theater and media room seating offers comfortable theater chairs with a modern look that fits your style. 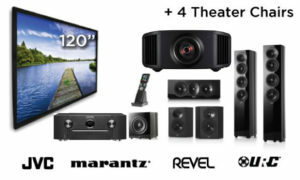 While designing a dedicated home theater room the goal should be to have the best visual and audio experience. Several technical aspects should be taken into account in this process. The look and feel that best suits your personality is an also important point. We have expert designers and decorators who will ensure you get exactly what you want in the best way out there. The aim here is that the image from a top-quality projector should reflect to your eyes from a big movie screen, precisely similar to what happens in a movie theater. It’s very important to select the perfect screen size according to your room. 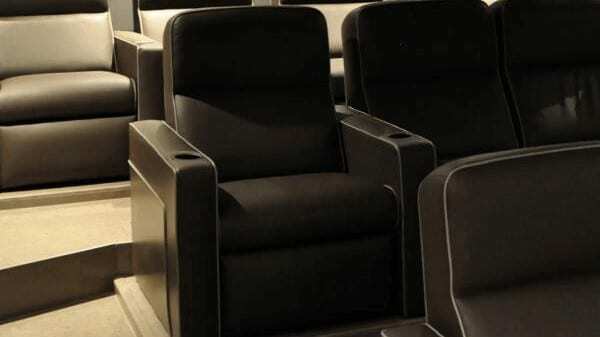 Several factors like size of the screen, its height off the floor, and the number of seats you have are needed to be considered for your home-theater design. You don’t want people having to look over or around someone’s head, or stretch their necks to see the screen. This will surely spoil the theater experience. Sight Lines are a tricky thing to handle and it can make or break your home theater room. Starpower experts will make sure that all your guest see all the picture and enjoy the high quality video. About 80% of the blockbuster movies are being shot in the ultra-widescreen aspect ratio 2:35. The amazing news is that now you can have the same widescreen experience in your home theater. Yes, your family and guests should be able to see all the screen, but it’s no fun if you can’t hear all the audio. Speaker placement is a critical factor to be considered in designing a dedicated home theater. The center channel speaker produces the most important audio track – the dialogue track. You can barely enjoy the movie if you can’t hear the dialogues clearly. This makes the center channel speaker the most important one. When you have only one row of seats, it’s easy to get the sound right. 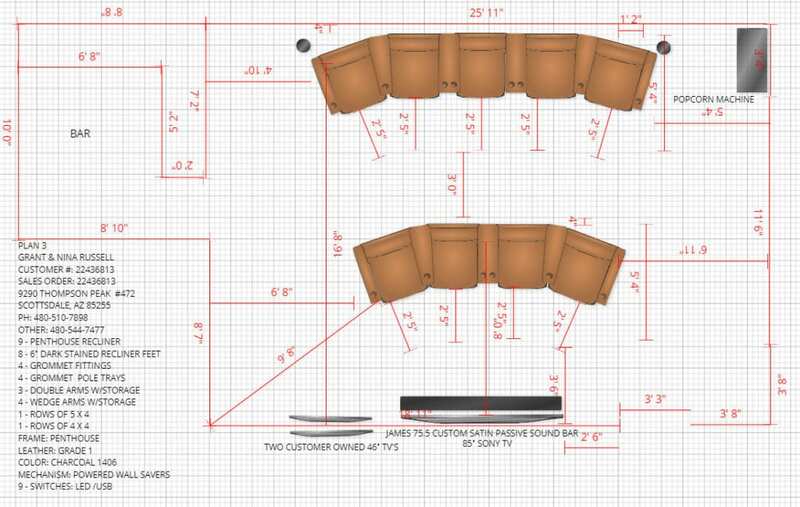 But as the number of rows increase, planning the speaker placement starts getting complex. Our experts can optimize the center speaker position for you and make sure things go smoothly in this department. When it comes to separation of left-right speakers, there is a good rule to follow. They should be at about 45 to 60 degree angle with the main seating. If the primary use of the theater is movies, use the 45 degree position. If you want to enjoy concert audio or video, you should spread them further apart. We can plot this out for you. Movie theaters always had speakers behind the screen, so that dialogues come from the middle of the screen rather than form above or below the screen. Until now, this was not a good idea for home as you could see artifacts due to perforation pattern. Now you can have perforation pattern that has no artifacts. You cannot go back after listening to the audio using this technology. We can help you incorporate this in your home theater. Subwoofer placement is critical for your home theater. The subwoofer can usually be hidden beneath the screen, however the middle of a home theater is the worst placement for the subwoofer; for optimal sound, we recommend placing subwoofers near a corner. When it comes to subs, the more, the better. 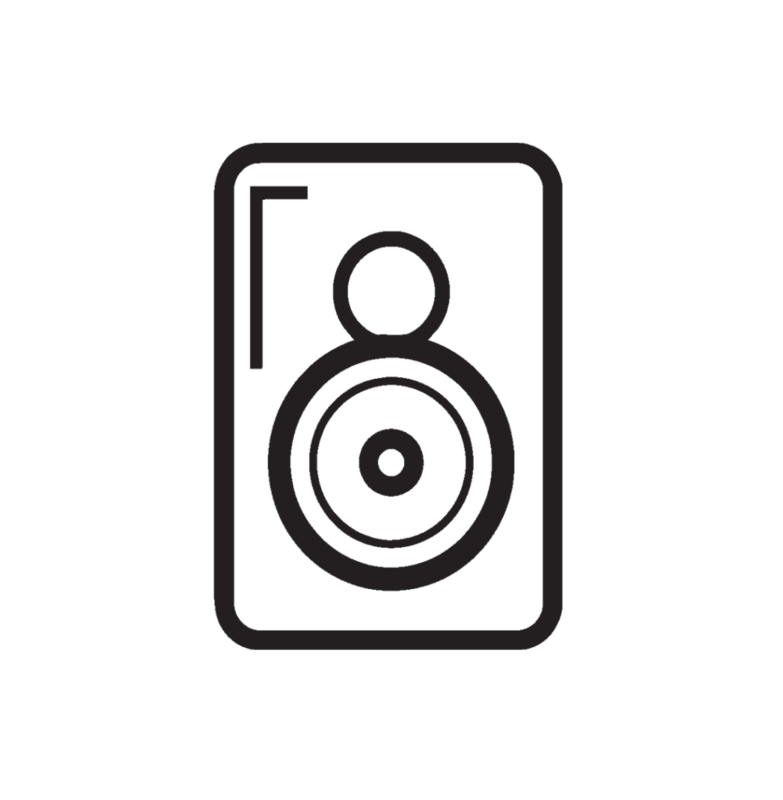 The size of the room and the personal preferences you have will help our team determine the right number of subwoofers and placement. The surround speakers can be placed on the side walls or the rear wall. There should be one or more sets of side speakers and one pair of rear speakers. The exact placement will depend on the seating arrangement. Our experts can advise you on the perfect placements. Equipment is placed outside the room in most of the dedicated home theaters to minimize the noise. To ensure good life expectancy for the components they need adequate ventilation. Cable box, satellite box and video games radiate a great deal of heat. Passive ventilation by drilling holes is not sufficient to exhaust the hot air. Our experts will make it a point that your equipment stay in good working condition for a long time while minimizing the noise. Imagine you or your family and guests are trying to turn on the system but you can’t. Or perhaps there’s an old basket of remotes collecting dust in the corner? We don’t want that to happen. A well thought out remote can make all of the difference. Now you can hide all your equipment and still reliably send the signal and control them. A dedicate remote will get the job done best. 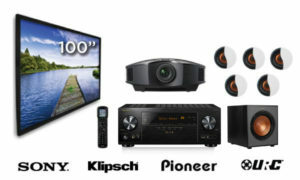 We offer wide range of dedicated remotes which will improve your home theater experience. Plus, we have touch panel automation solutions that will take you beyond just controlling one room.